Sometimes, biggest doesn’t mean best. 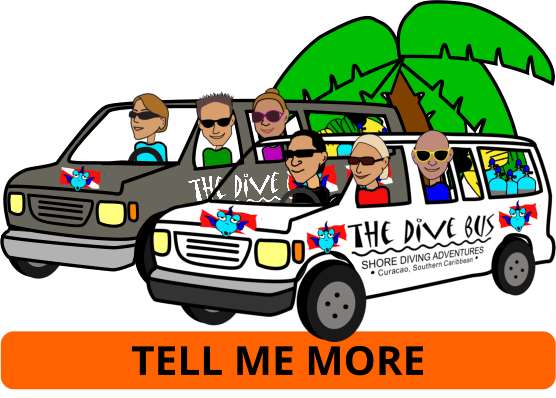 The Dive Bus chose to become a PADI Dive Center over any other training organization. PADI is the world’s leading scuba diver training organization with over 23 million certifications issued around the world. PADI’s diver education system is based on progressive training, introducing skills, safety-related information and local environmental knowledge, in stages. PADI courses are student-centered, providing maximum practice and realistic application, which enables students to enjoy underwater exploration and scuba diving adventures while maintaining the highest standards for diver training, safety and customer service. Beyond simply learning to scuba dive, you will expand your capabilities as a diver through continued education. PADI’s full range of diver courses introduces you to new underwater activities, including helping you make the career move of a lifetime, to become a PADI Professional. The PADI System of diver education is the most instructionally solid system in diving. PADI courses are designed to make learning enjoyable and worthwhile. Under the guidance of your professional PADI Instructor, you gain confidence while mastering important safety concepts and skills. PADI Instructors are trained and held to diving’s highest standards, backed up by a solid, proactive, quality management system. International Organization for Standardization (ISO) Standards Compliant – PADI courses are certified as compliant with ISO standards for Recreational Diving Services by an independent auditor, the European Underwater Federation and the Austrian Standards Institute. The ISO standards relate to five levels of diver, two levels of instructor and a service provider or dive center. Each of these standards equate to a PADI certification or member level, which means that, in effect, divers or members holding one of these qualifications can also be said to have met the requirements of the relevant ISO standard – as though they had gained two credentials at once. Professional Quality and Support - Just as scuba divers must earn PADI certifications, PADI Instructors must complete a development program that sets the industry standard for scuba instructor training. Each new PADI Instructor demonstrates a thorough knowledge of the PADI System and the ability to conduct PADI programs by meeting specific criteria. Before earning the PADI Instructor rating, all candidates are evaluated by a select group of PADI-employed Instructor Examiners. This ensures that the evaluation process is objective, fair and consistent worldwide. This is another way that PADI training stands above others in the dive industry. Diving is a social activity and, by affiliating with a PADI Dive Center or Resort, you’ll meet others who share your interests. Follow The Dive Bus on facebook to connect with your new dive buddies, or log in to ScubaEarth® for opportunities to interact with other divers. PADI Diving Society® – You can join the PADI Diving Society, an organization made up of dive enthusiasts of all ages and experience levels. The PADI Diving Society keeps members informed on the latest developments in dive news, technology and training, and offers members savings and incentives on all of the things you need to stay active and involved in diving – including dive travel, equipment and training. 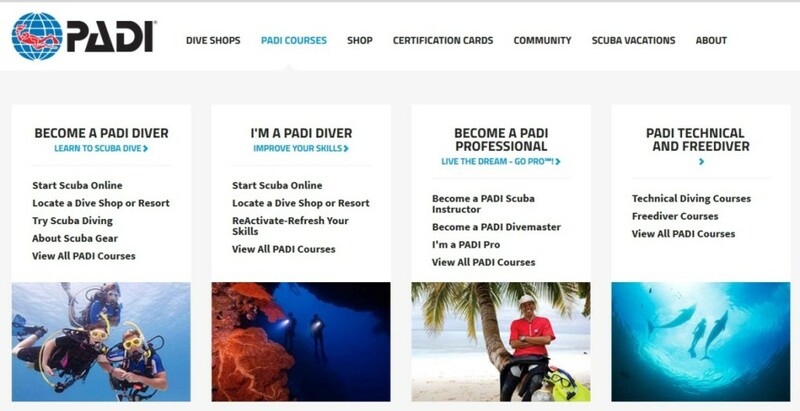 ScubaEarth® – By joining PADI’s online community – ScubaEarth® – you’re given an interactive, dynamic platform to share everything scuba diving-related with other divers, dive operations and instructors from around the world. You can research and plan dive experiences, search more than 60,000 dive sites, find PADI Dive Centers and Resorts, connect with dive buddies, log dives, upload dive photos or videos, identify aquatic creatures and much more. Scuba gear makes diving possible. The best place to learn about all the fun gadgets and new scuba equipment available to you is at a PADI Dive Center or Resort, just like The Dive Bus. Environmental Conservation: A healthy underwater environment is essential to good diving, and divers are great advocates for protecting our water resources. Throughout PADI courses, divers learn the importance of protecting fragile aquatic ecosystems and are encouraged to become involved in local and global conservation efforts. For more than two decades, PADI has partnered with Project AWARE® – a global nonprofit organization dedicated to protecting our ocean planet, one dive at a time.